Increased government clampdown on Christains, imprisoning those who oppose its increasing control of religious groups.Continuing exodus due to hardships endured by all communities. There is scarce information about this secretive nation, cut off from the outside world. A long-awaited fact-finding visit to the country by a source known to Aid to the Church in Need in late 2016 shed fresh light on the country’s deepening crisis, revealing that Christians are at particular risk. The Catholic source’s report refutes the government’s continued claims, first uttered in May 2003, that “no groups or persons are persecuted in Eritrea for their beliefs or religion”. At least 3,000 Christians are reportedly imprisoned in Eritrea, a country which is frequently described as an ‘open prison’, and it is likely that there are many more about whom no records exist. The Catholic source gave reports of a growing number of ‘political prisons’. Many of them consist of metal shipping containers packed with detainees, including large numbers of Christians. Experiencing massively fluctuating temperatures – freezing at night and boiling under the midday Africa sun – the detainees suffer from very poor sanitation and little food. Reports of physical and psychological torture and harassment are common. Those Christians and others who escape incarceration are more likely than ever to leave the country. The exodus of people from Eritrea is unrelenting; it has been described as “one of the fastest emptying nations” in the world. UN figures suggest 60,000 Eritreans fled the country between 2014-15 – reportedly higher than any other African country. The desire to leave the country is compounded by massive poverty; because of food shortages, UNICEF reports that “half of all children in Eritrea are stunted [in growth]” with malnutrition widespread. According to ACN sources, this deepening poverty means that Christians and others are more susceptible to acts of oppression because of their acute need for basic services. Those suffering the most are Christians not recognised by the state. Their experience is evidence of the extent to which the government has failed to implement its 1997 constitution, which provides for freedom of thought, conscience and belief. In May 2014, President Isaias Afewerki announced plans to draft a new constitution but, according to the US Commission on International Religious Freedom, to date “no action has been taken”. Since May 2002, there has been official recognition of the Eritrean Orthodox Tewahedo Church, the Catholic Church in Eritrea, the Evangelical Lutheran Church and Sunni Islam. Christians who do not belong to these denominations face incarceration which could happen at any time at a moment’s notice. One such Church member, Dawit, who subsequently escaped Eritrea, said after his time in jail: “In Eritrea, almost every Christian faces imprisonment”. The Catholic source referred to above stated: “The oppression of the regime against believers of religions not recognised by the state is merciless” . Evidence indicated that over the period under review, the Afewerki regime stepped up efforts to arrest and punish people caught practising or disseminating beliefs not sanctioned by the state. A fresh crackdown on Christian communities in May 2017 – apparently marking the anniversary of Eritrea’s independence – led to the arrest of 122 people, many of them Evangelicals. Of these, 33 people – all women – were taken to a notorious island prison in the Red Sea, off the Eritrean coast. 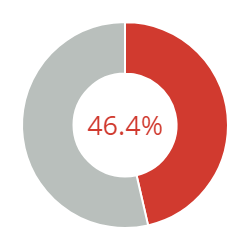 Reports from trusted sources within the country whose identity cannot be revealed showed that the regime was also increasingly intolerant of state-recognised faith groups. The regime has appointed the Mufti and other senior Muslim leaders as well as the leaders of the Orthodox Church. The Eritrean Orthodox Church’s claims of autonomy have been compromised ever since the regime forced the resignation of Patriarch Antonios III in 2007 and imposed a successor, Dioskoros, an act that split the Church. An Eritrean Christian source, who asked to remain anonymous, told Aid to the Church in Need about the problems of governing the Church in such circumstances. He said: “Patriarch Antonios was in prison and is now under house arrest. The Orthodox Church can’t call a meeting with him as he is under house arrest.” In April 2016 the regime arrested 10 Eritrean Orthodox priests who asked for the release of Patriarch Antonios. Apparent signs of improved government relations with the Eritrean Orthodox came in July 2017 Patriarch Antonios made his first public appearance at a service at St Mary’s Cathedral, Asmara. Although the Eritrean Orthodox produced a statement stating the “the issue” with the Patriarch had “come to an end”, the Patriarch had not – at the time of writing – released a statement himself. Among the recognised faith groups, only the Catholic Church and the Lutheran Church have retained some degree of autonomy. The Catholic Church’s implied criticism of the regime in its pastoral letter of May 2014 lamented the mass exodus from the country: “There is no reason to search for a country of honey if you are living in one.” The Church’s many schools, clinics and other institutes – sometimes described as the nearest Eritrea gets to a national health service – are reportedly seen as indispensable by a government reluctant to pick a direct fight with Catholics despite them numbering barely 150,000 in the whole of the country. But there are signs of change for the worse here too. A Church source close to Aid to the Church in Need said: “Building and expanding the Church is very difficult… In the last three years, it has become worse – [the government] control everything. There is only one hospital [but it has] no medicine, no equipment – the authorities do not allow the Church to work.” He added: “They have stopped all construction, but only government buildings are built… They try to block the Church’s work. To stop aid is to stop the bishops.” He added: “Priests are not granted a visa if they are under 50 years of age. They can’t go to Rome unless they have done military service.” He said that one Catholic magazine permitted into Eritrea in 2002 has now been stopped. April 2016: Eritrean authorities arrested 10 Eritrean Orthodox priests who asked for the release of Patriarch Abune Antonios. The Patriarch has been under house arrest since the regime effectively forced his resignation in 2007. In August 2016, the Eritrean Orthodox Church’s website published photographs apparently showing Patriarch Antonios at the Church’s Patriarchate in the capital, Asmara, and a letter purporting to offer an apology. But other Orthodox figures denied that the Patriarch had written the letter. It came amid reports of fresh efforts to reconcile Church officials and the regime. Claims from around this time stated that the Patriarch’s release was imminent. May 2016: 79 Christian men, women and children – including a mother and baby – were reportedly arrested at a wedding party. Initially they were held at the town of Barenthu but more than 30 were moved to the Mai Sirwa detention camp. October 2016: Six Christian men were reportedly arrested in Adi Segdo on the outskirts of Asmara. They were apparently detained while visiting a sick man at his home. The detainees included members of the sick man’s family. The six men were held for two months. December 2016: A “significant” number of Christians were arrested on Christmas Eve in Asmara after being caught praying. They were reportedly transported barefoot to an unknown destination. military camp, died in hospital after being taken ill. The Pentecostal Christians were transported to Massawa Hospital in a critical condition after going on hunger strike at the camp. They were protesting at the abuse they had reportedly received during their detention. Bruising on their bodies was described as being “consistent with sexual abuse”. May 2017: It was reported that after 89-year-old Patriarch Antonios III fell severely ill with symptoms including spinal pain and diarrhoea after he was given an injection during a medical examination at a facility in Edaga Hamus. May 2017: Up to 122 Christians were arrested over the course of the month, leading human rights activists to accuse the regime of carrying out a fresh crackdown as a show of strength coinciding with Eritrea’s Independence Day (24th May) and the 10th anniversary of the overthrow of Abune Antonios as Patriarch of the Eritrean Orthodox Church. 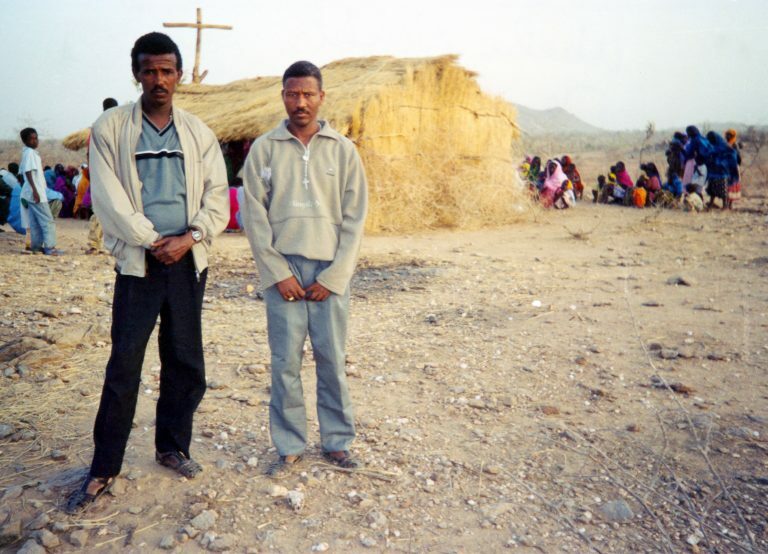 In the Godaif district of Eritrea, 17 Christians were rounded up on 28th May. Sources stated that in addition between 45 and 49 Evangelicals – mostly women – were arrested outside Asmara on Sunday, 21st May at a wedding celebration. Four days earlier, up to 45 Christians were arrested by security officials from their homes in Adi Quala, a market town in the south of the country about 15 miles from the Ethiopian border. The group, which included entire families, an elderly man and a disabled woman, were taken to Adi Aglis detention camp. On 9th May, officials arrested between 10 and 15 Christians (both men and women) from “a home” in Ginda, north-east of Asmara. 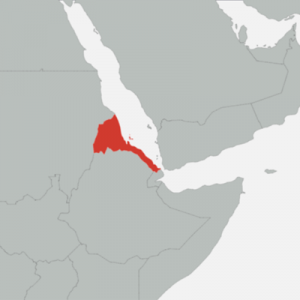 June 2017: Church sources stated that 33 Eritrean women were being held in a notorious island prison in the Red Sea off the Eritrean coast. The women were among the first to be arrested following the May 2017 raid by the Eritrean military on church communities not approved by the state. The 33 were taken to Nakura, a notoriously harsh prison island in the Dahlak Archipelago created by Italian colonialists in the late 19th century. Many of the women are understood to be young mothers whose husbands are either military conscripts or who are trying to survive away from their wives. Because the women have been arrested, 50 children are reported to be without parental care. July 2017: Patriarch Antonios III, who has been under house arrest since 2007, participated in a celebration of the Divine Liturgy at St Mary’s Cathedral in Asmara on Saturday 16th July. His first public appearance in more than a decade was attended by hundreds of worshippers. The patriarch was surrounded by guards throughout the ceremony and plain-clothes police told Massgoers not to take pictures. A press release from the Eritrean Orthodox Tewahdo Church said that he had been reconciled with the state-controlled church. It stated “the issue of Patriarch Abune Antonios the Third has come to an end on 07/11/2017. We gladly want to inform to all its faithful Christians and friends that the Holy Synod Meeting has come to conclusion with full reconciliation, peace and love with Abune Antonios in the presence of Union of the Monasteries and Church Scholars.” The patriarch has not issued a statement himself.